One of the best ways for increase in business development is to create a more responsive web design. This can help people to spend more time on your website, especially if they can have more fun and a more pleasant experience with your product through your website. A great website design simply reflects well on your business and the quality of your service. 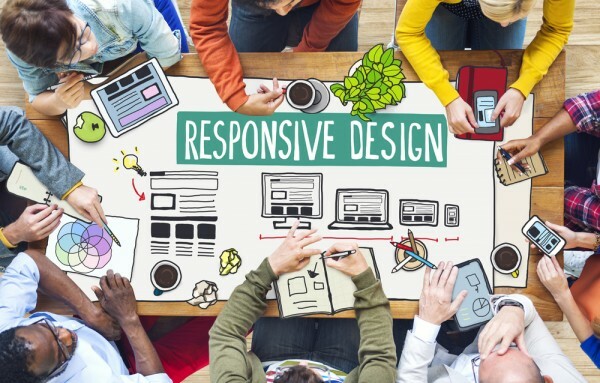 There are many aspects that go into a responsive web design that meets your client’s’ needs. Here are some of the most important features to consider. One feature of the modern web is that users are accessing web pages on a variety of platforms. You’ll want to make sure that your website looks good on desktop computers, tablets, and mobile device screens. This can be a challenge for designers, since the amount of whitespace and the sizing of text can be tricky to control across different screens. One of the most popular options for solving this problem is a grid design. When the size of the screen hits a certain threshold, your design will be put into columns or grid form. This can help you to control the amount of blank space and the aesthetics of the page. Another option is to have a completely separate design for your mobile page. This would be a stripped-down version of your full site; as soon as the site sees that your user is accessing the page from their phone, they are redirected to the mobile version. You would need to make it explicit that more features can be found on the full website. Another feature of a responsive web design is that it’s fast, despite the speed of your user’s processor. For slower web connections or computers, it’s important to have a design that won’t slow them down or look ugly if they are unable to load the pictures in time. One way to correct this problem is to have placeholders where the pictures should go. You can also have the website start to load certain images or features before those pages are even clicked on. Another aspect is to help your users access the features that they most want to find. If you know that some features of your website will be very popular, try to make them prominent on your home page. If you predict that your users will want to subscribe to your site or your mailing lists, then you can have a pop-up on your website that helps them do this without having to look around. You may want to have certain features already checked on dialog boxes, making it easier for users to simply click “next” without having to think about the features they want most. Another way to make the website more predictive is to have the site predict people’s locations or have an autocomplete feature for filling out forms. If your website is only targeted to English users, you’re missing out on a huge market share for your products. While users of other languages may be able to access parts of your website by using pictures as a guide, you can make the page much more user friendly by translating the radio buttons and text. You can translate website content into relevant languages, and you can make this very user friendly by including simple icons for changing the language on your website. In short, having a responsive web design that includes many of these features can be a great investment, as it will reflect your business’ quality. While you may not be able to afford a completely responsive design, these are some of the most important features to speak with your web developer about. You may need to create a schedule of phasing in new responsive features as your business develops.